Puerto Ricans know how to ring in the New Year with style. All around the island, hotels, and restaurants throw their doors open and host sumptuous feasts and end-of-year balls. And a typical tradition in the wee hours of January 1 is to work on that hangover with a piping hot bowl of asopao (rice and meat stew). Here are just a few hotspots where you can celebrate New Years in Puerto Rico. Be sure to book plans well in advance of New Years as events tell to sell out fast. Hosted by Sheraton Puerto Rico Hotel & Casino, Illusions is one of the most exciting and in-demand destinations on the 31st. The party includes four main areas with a variety of ambiances to enjoy, DJs, all-inclusive bars, and a late-night serving of asopao. 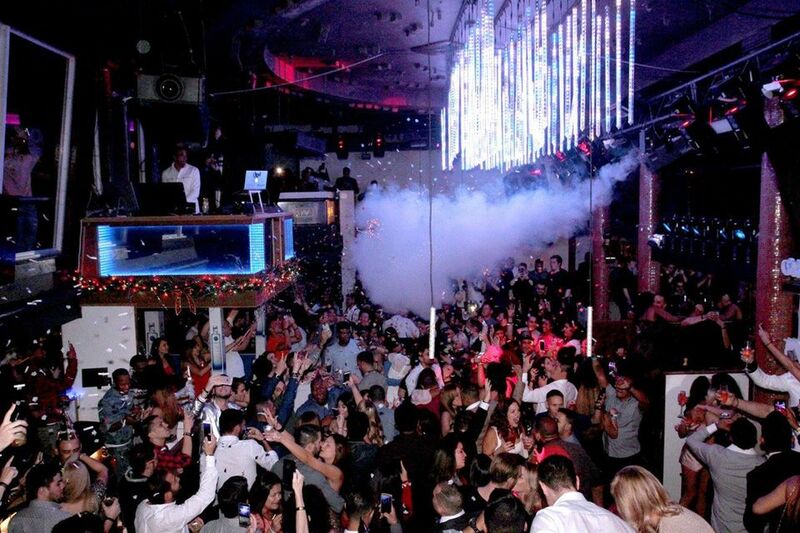 Puerto Rico's über nightclub is also one of the most sought-after places to ring in the year. Their annual Bubbles bash is a non-stop party that lasts long into the New Year. Live DJs will spin house and dance music to keep the energy up all night while crowds kick it in the main room or chill out in the Ultra Lounge. If you want to splurge, book a VIP table with bottle service. The food at 1919 is lovely. You can always count on something inventive and delicious. New Year's Eve dinner should be no different. Find out what the chef plans to whip up on this majestical occasion. Previous New Year's menus at 1919 have featured, caviar, lobster, ravioli, canapés, chestnut soup, and shortbread. Each course is paired with a chef's selection of wines and champagnes. The dinner has cost as much as $350 per person previously (including the wine pairing), so be prepared to part with a serious amount of dough if you choose to patronize 1919 for the holiday. For reservations, call (787) 724-1919. The beachfront San Juan Marriott Resort & Stellaris Casino welcomes the New Year with a bash at the Red Coral Lounge. Enjoy live salsa music, champagne, and party favors until the break of dawn. The retro-chic El San Juan Hotel & Casino is always a good place to be during a holiday, as its lobby and casino are among the most entertaining hangouts in town. For previous New Year's Eves, the hotel has hosted its Black & Silver New Year's Gala. Held ​in the lobby and the elegant ballroom, this has been one of the fancier ways to close out the year on the island.